Buffalo wings, BBQ wings, Cajun wings, Teriyaki wings, you can get any flavor of chicken wings you like from Wingstop. 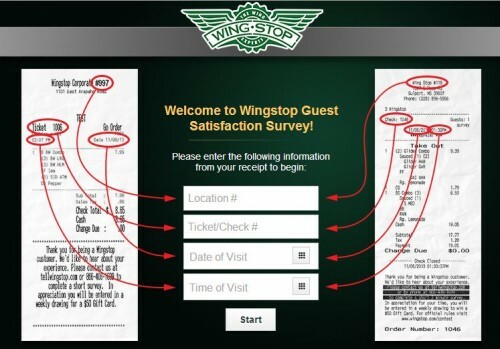 With the sole focus on serving prime chicken wings, Wingstop needs your opinions and feedback in the Wingstop Guest Satisfaction Survey to know your expectations. 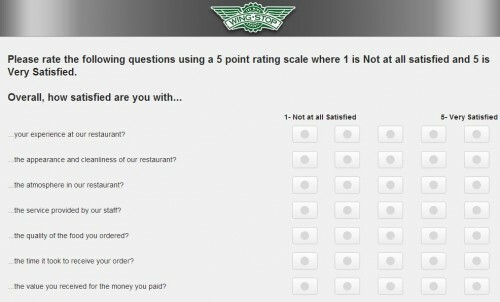 To thank you for taking the survey, the restaurant will enter you into a weekly sweepstakes to win a $50 gift card. Enter the location, check number and time of visit from your receipt. Regarding your recent visit, rate how satisfied you were with the appearance of the restaurant, the quality of food, the service and other aspects of your dining experience. To enter the prize draw, fill out the form with your name, address, phone number and email. Submit the form to complete your survey and get entered into the sweepstakes. Otherwise, just leave the form blank and finish your survey. 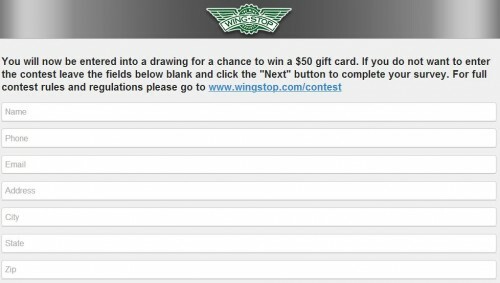 Wingstop, as the name suggested, is a fast food chain dedicated to providing prime chicken wings. The restaurant has a 20-year history of saucing, tossing, serving cook-to-order wings with 11 different flavors. Every customer coming to store can get the fresh, unique wings that meet his own requirement. Another feature of Wingstop is the decor, which follows a 1930s and 1940s “pre-jet” aviation theme. Nice service but they could talk a little louder and speak clearly. We love wing stop!! Eat here every chance we get! Wings are pretty good. Always come here a lot. Bryan, Viviana, and jaqueline had great customer service!! Katherine was great with customer service. Very pleased. Will return. Arnett was very helpful and nice. Great service, always nice. Thanks. Great service! The employees were awesome and a great rapport with us. Great assistance, and fast service. Was greeted asoon as I entered. First time at Wingstop and I’ll definitely be back. The food and the bag was full of grease. Which got on my clothes and car seat. I order the mild and lemon pepper boneless chicken and fries. No napkins in the bag which would have helped with all the grease. I had to clean my seat. Wax paper was in the container with the chicken. I will not return. Good food! Clean store! I would recommend this location!!! Absolutely great service! Every time my boyfriend and I come we’re always satisfied! Wingstop never fails to amaze us!